There are some exciting moments that happen in this week’s episode! But of course, there are always more questions that come up that are nail bitters in the wake for the answers. And who knows when the answers will come out. The top thing to be happy to see back: the bunker! Yes, the bunker is back and running in top form. Although in a previous episode, the bunker looked like it had seen better days. But it seemed at the time it was from the attack Diaz laid on the hideout. Well, that isn’t the case. So, who destroys the bunker that is shown in the future? With the bunker back there needs to be a team use it. 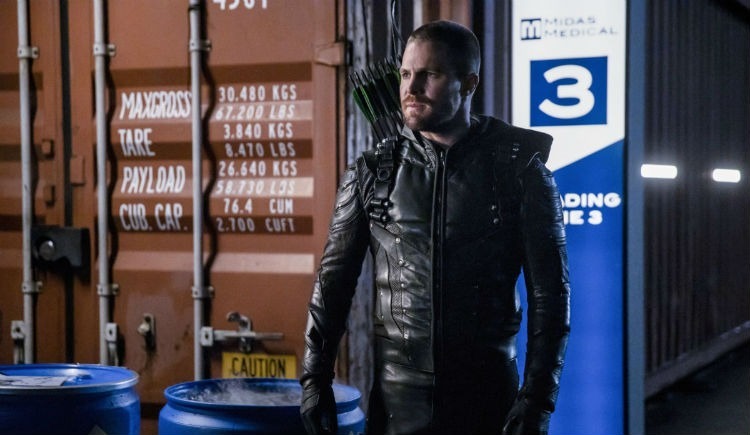 Team Arrow is also back! But it wasn’t an easy ride. 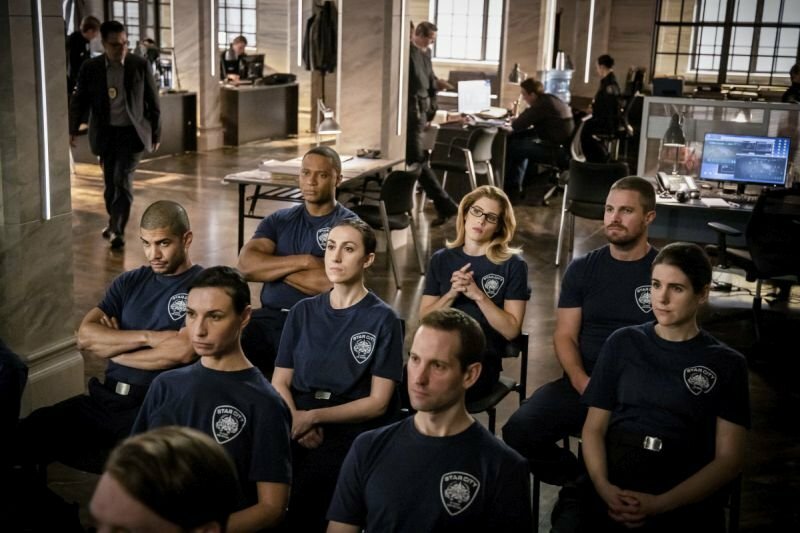 First Oliver, Diggle, Renee, and Felicity join the Star City Police Department as Deputized Recruits. They go through fight, weapons, and tech training. Each, of course, showing off in each of their specialized part of the training. When they go into the field, they are not allowed to wear their suits or use their own weapons. Their first mission doesn’t go too well, and they are blamed. 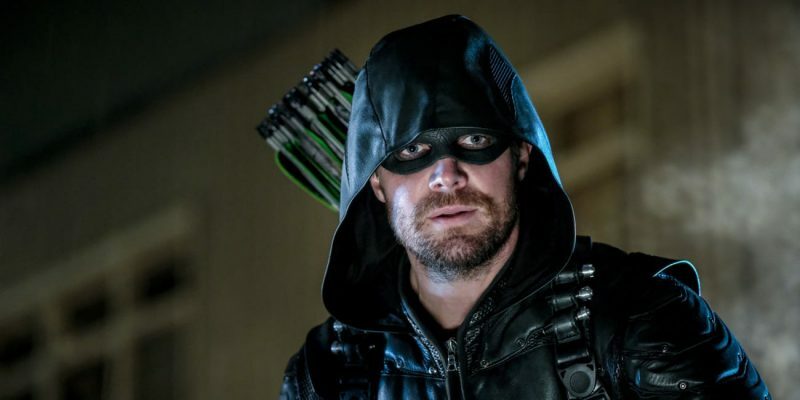 Oliver stands up for his team, and later dresses up as Green Arrow to prove a point. Well, that doesn’t go over too well with the mayor and his captor goes free. A surprising thing happened in the future scenes. William is in search of a mini cassette player. Mia and William find a cassette in the rubix cube William had. But to play it, they need to find something to play it on. Well, William does find a player and pays $500 for it! That wasn’t the surprise. It was the fact that he didn’t check to make sure it worked!! How old is that player? 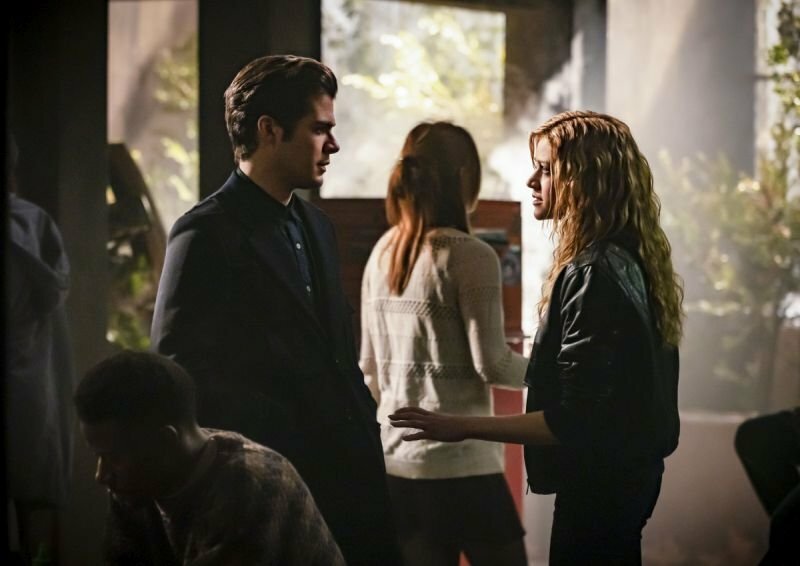 He says he hasn’t heard from Felicity in 20 years! And he also says they stopped making the players in the 80’s! Maybe more like mid-90’s. But still!! Check your electronics! What else does the Team and the future have in store for next week?